Poker rooms with .dmg files for Mac poker players. Top .dmg online poker sites. As well as having the best Mac poker client, PokerStars is also the most popular online poker room, so it's an easy choice as the #1 Mac poker site. The PokerStars app is incredibly well maintained and runs like a dream. I couldn't recommend it any more to anyone looking to play online poker on their Mac. Note: PokerStars actually uses a .pkg file instead of a .dmg file. This means that the PokerStars client will automatically begin installation after you open the PokerStars .pkg file. This saves you from having to drag the PokerStars app to your applications folder first and then load it from there. 2) Full Tilt Poker DMG. The Full Tilt Poker app works just as well as the PokerStars app. They're both equally as smooth and as elegant as each other. The only reason I have placed the Full Tilt Poker app behind PokerStars is because Full Tilt has slightly lower player traffic. If you want to play at Full Tilt Poker on your Mac, then go for it. You won't be disappointed. The Full Tilt .dmg file is also incredibly quick to download and easy to install. Enjoy! The UB Poker app is another fantastic poker room app for Mac poker players. It looks great, loads quickly and runs smoothly. Hence why it's in the top 3. UB Poker is third on this list of poker sites with .dmg poker clients because the room is less popular than PokerStars and Full Tilt. The UB Poker app is also not as feature-rich as the other two. Overall it's an impressive dmg poker room, but I just prefer Full Tilt and PokerStars that little bit more. How to install DMG poker rooms. You install Mac poker rooms from their disk image just like you would install any other app on your Mac. After downloading a poker site's .dmg file, simply double-click on it to mount it (open it up), then drag the app in to your applications folder. From there, launch the poker room app by selecting it in your applications folder and the install process will start. Note: When you download a dmg file from a poker site it will often need to be unzipped first. 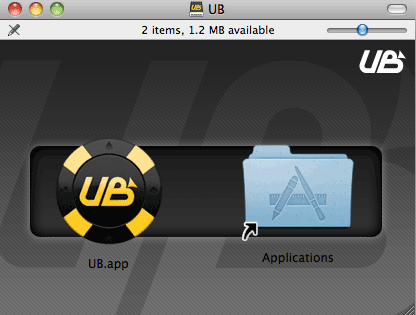 So unzip/extract the contents of the file you just downloaded using your favourite unzipping app and go from there. 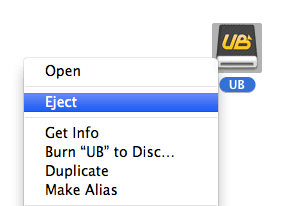 If you haven't got one for whatever reason, I recommend using The Unarchiver. After you have finished installing the poker room app, you can right-click on the disk image on your desktop to eject it. What's the difference between a .pkg file and a .dmg file? A .dmg file is a disk image. It's a way of storing files. A .pkg file in an installer package. It's used for installing its contents in to a location on your Mac. Both PKG and DMG file types are used by poker rooms for installing their clients on to your Mac computer. PokerStars for example uses a .pkg file, whereas Full Tilt uses a .dmg file. Both PKG and DMG files are used for installing poker room apps on Mac computers. One file or method isn't better than another for installing a poker room on your Mac. They're just two different ways of doing the same thing. Although, installing a poker room with a .pkg file is ever so slightly more straightforward. Here's a quick and simple forum thread highlighting the differences between .pkg and .dmg files. What's the alternative to .dmg poker on Mac? If you don't like the thought of installing poker rooms on your Mac from their .dmg or .pkg files, you can always choose to play at sites that allow you to play online poker from within your browser. PartyPoker's instant play version for example is very popular amongst casual players. You can find a list of "instant play" poker rooms in my main no download poker sites section. These have all been developed with Mac and Ubuntu poker users in mind. It's worth noting that these browser-based poker rooms tend to have less features and do not run as smoothly as downloadable poker rooms. So if you're a regular online poker player, I'd recommend downloading and installing a poker room (from the list above) on your Mac instead. More information about DMG files and stuff. Go back to the Mac poker page.